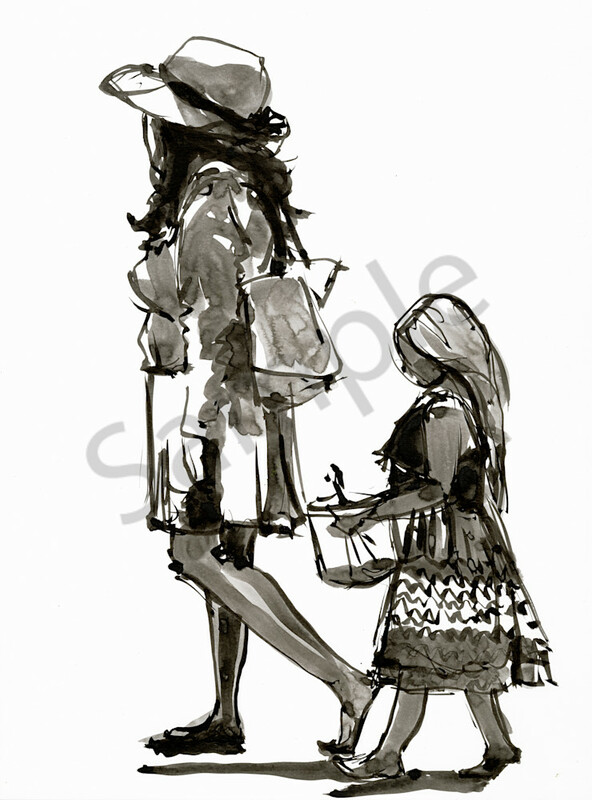 Ink drawing of a mother and daughter at the beach. This mother and her daughter immediately caught my eye because they were dressed so beautifully. The girl was wearing a fun dress and I loved the big sun hat the mother had on. The girl didn't bring a bucket and spade, but a kitchen bowl and wooden spoon, which I found so cute. I created this ink drawing because I didn't want color to distract from the scene and the focus on the relationship between them.